Original story: Following Infinity Ward’s decision to ditch the use of dedicated servers and instead go with a service they call IWNet, DICE’s Karl-Magnus Troedsson, the executive producer of the Battlefield franchise, has assured that fans of Battlefield: Bad Company 2 need not worry of DICE going down a similar road. At GamesCom earlier this year, Troedsson said Modern Warfare 2 better watch its back. 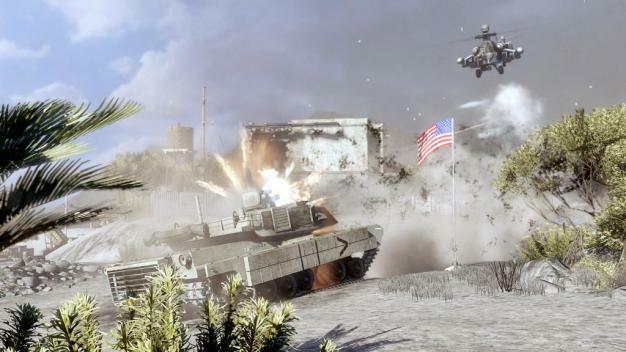 “We have the utmost respect for Call of Duty: Modern Warfare 2 but Battlefield: Bad Company 2 is gonna redefine online multiplayer gaming,” Troedsson said during a multiplayer presentation to the press. I guess, in the eyes of PC gamers, the current controversy doesn’t exactly hurt his case.